RasterEdge .NET Imaging Barcode Generator guarantees Visual C# users the most professional ISSN barcode generating and drawing functions. Besides the function of creating and saving generated ISSN barcode to GIF, PNG, JPEG, BMP image formats, our users can even create ISSN barcode on PDF, TIFF, Excel, PowerPoint and Word documents with the high-flexibility and advanced .NET Barcode Image Add-on SDK. .NET Imaging Barcode Generator SDK is the market premier barcode toolkit for developing applications that can help users draw and write 1D and 2D barcodes on images an documents. Fully integrated in C#.NET, VB.NET, .NET Windows Forms and ASP.NET web applications, developers and end users are empowered to program amazing, fully-featured .NET barcode generation applications. 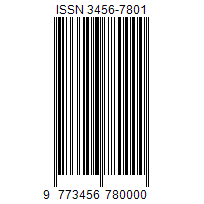 Following is a list of benefits and features for generating ISSN barcode in C#.NET. You can easily generator ISSN barcode and save it to image files/object using this C#.NET barcode generator control. The following steps will show how to create a ISSN type barcode encoding numeric data text "345678000" into the image object with XImage.Barcode.Creator. ISSN barcode creating library for C#.NET is used to generating ISSN barcode on JPEG, BMP, PNG and GIF images. With our .NET barcode generating tool, users also can customize ISSN barcode relative parameter values, like adjusting ISSN barcode bar width and height, setting the barcode image rotation degree, changing the barcode image location by altering X & Y, and more. With full C# barcode creating functions, users are able to generate ISSN linear barcode on PDF, TIFF, Word, Excel and PowerPoint documents exactly and quickly using the following complete C# demo codes. With our .NET Barcode Generator SDK and the following clean C# code, users are able to set all ISSN barcode properties and create barcode on image and document easily.